Last week MacPhun announced a free extension for Apple Photos. 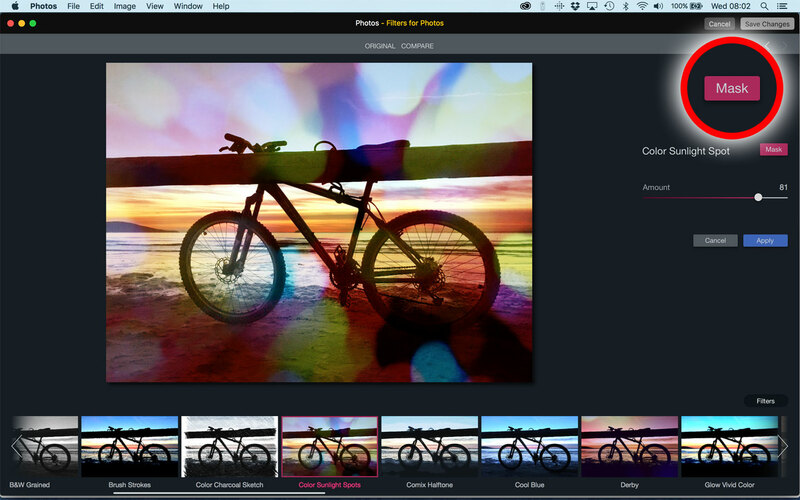 Filters for Photos has 30 different effects, and while the controls might appear pretty basic, you can use the built-in masking tools to apply these filters much more subtly than you might expect. Here’s how it works. So here I’ve chosen the Color Sunlight Spot filter. It’s not subtle, but it does add a kind of lo-fi retro appeal to this shot of a bike at sunset. I can use the Amount slider on the right to reduce the strength, but the really interesting option is the Mask button (circled). 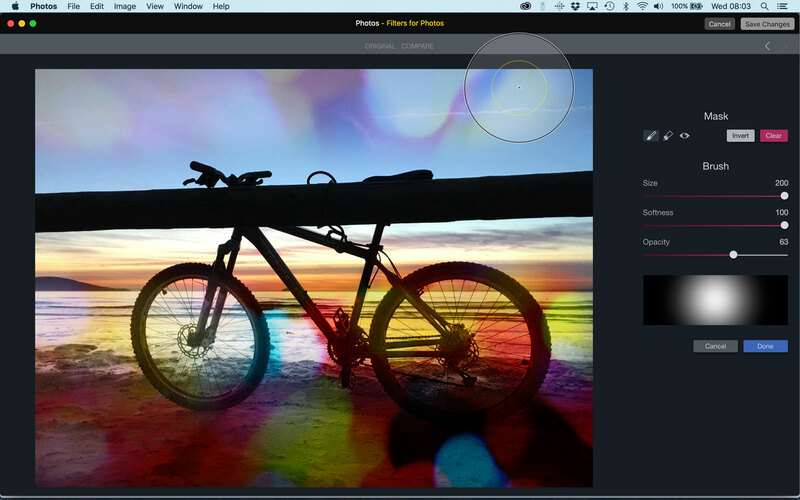 This displays the masking tools over on the right side of the screen. They’re not particularly sophisticated – you can’t create selections or gradient masks or anything like that – but for a basic filter effects package they do the job perfectly well. You can adjust the Size of the masking brush, its Softness and its Opacity. The rest is down to your freehand painting skills. 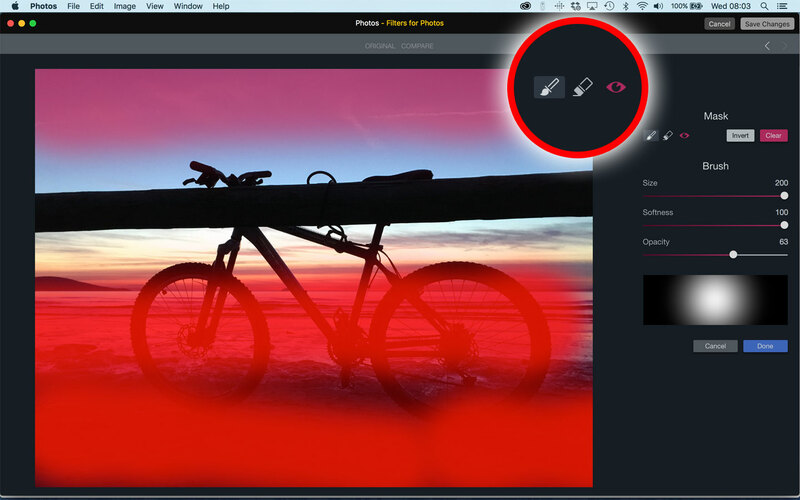 If you do go wrong, or if the masking results aren’t working out how you expected and you want to know why, you can switch on a live mask preview using the ‘eye’ button at the top of the tools panel (circled). This toggles the mask display on and off, so if you want to see the mask area as you paint it on the image, leave it switched on. You’ll also spot there’s an eraser brush too, so you can fix any overspill or bad masking as you go along.